An entrepreneur or small business owner is usually on the phone, especially during the early days of the company, in an effort to either gain some exposure, capital, or business deals. They will be constantly talking to potential investors, high-volume clients, or business partners. One method of communication that entrepreneurs have to master is online conferencing. Any opportunity to have a dialogue with your target segment is an opportunity to build up your credibility by presenting factual and reliable information about your product, service, or company. One of the major ways that companies interact with their target segment is using online conferencing. By having the capability to host an online conference, you have the chance to demonstrate that you have the knowledge and expertise to build success with your products or services. 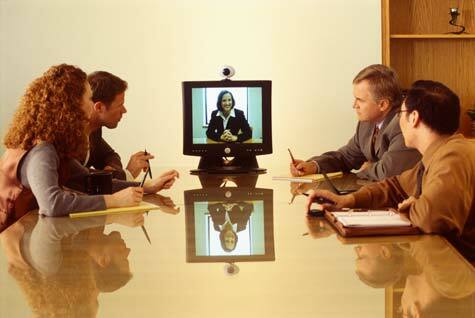 Online conferencing is valuable, because you can reach many target segments conveniently. It does not matter if one target segment is 500 miles away or just 5 miles away. Moreover, your target segments are receptive to your message, because they have chosen to set aside time to listen to your message or presentation. Therefore, it is essential for you, as an entrepreneur, to come prepared to an online conference and exude confidence when talking about your business plan and what you're trying to market. First, you have to find willing participants who are able and want to participate in the conference call. Some participants can be potential investors, distributers, major customers, etc. After a number of them agreed to participate in the forum, the next step is to set up a date and time to conduct the online conference. Since this is an opportunity to benefit your company by gaining visibility among members of your industry, it is important to ensure that the topic of the conference is specific and interesting to facilitate a productive discussion. To help the forum or conference administrator, it would be good to prepare a short proposal that explains the objective and topic of the conference discussion and how it relates to the participating members of the online conference. After the topic of the discussion is accepted, it would be a good idea to prepare an introduction for yourself and a list of suggested questions for the conference moderator to ask. This gives you a chance to make sure the key marketing messages you want to convey will be discussed during the conference. Moderators often refer to question lists like these to jump-start the discussion at the beginning of the conference and later on if audience questions taper off. Furthermore, it is important to emphasize why you or your company is qualified to host this conference. After the conference, find out where the transcript of the conference has been stored. Having a hard copy of the transcript can boost your credibility in the future and is written evidence of what was discussed in the meeting. We welcome your comments on building credibility through online conferences.